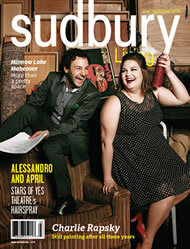 Mickey Rooney and Judy Garland decided the best way to solve a problem in the movie Babes in Arms was, “Let’s put on a show!” Seventy years later, Sudbury’s Alessandro Costantini solved his problem in the same way. And so, the birth of YES Theatre (Youth Entertaining Sudbury). Costantini, then 16, grabbed his briefcase, visited Mayor John Rodriguez, gaining the city support he needed. And, as they say, the rest is history. “I know now that this is exactly what I am supposed to be doing,” Costantini affirms. 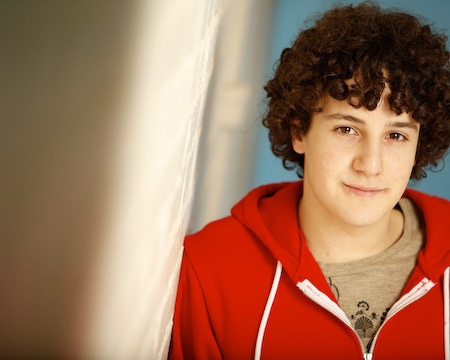 He is no longer a high school student, but a twentysomething professional Equity actor, a graduate of George Brown Theatre School, and a seasoned actor, director and producer. “When I was 16, I didn’t know what I was getting into.” That’s the power of youth, the gift of naïveté, the inability to imagine one can’t succeed. Costantini, who is a St. Charles College graduate, had only imagined one show. He didn’t have an answer then but Hair spawned one of the most exciting theatre companies in the north. With the support of family, friends and community, Costantini bit the bullet and selected the rock musical Rent for season 2. It’s sometimes difficult to know if YES Theatre is Costantini or if it exists outside him, the two are so inextricably linked. Consistently, his casts are strong and passionate, every moment of every performance of every show. You can feel the love. Costantini is fiercely committed to the company he calls “family” and is proud of all six seasons. Some shows have been commercially more successful than others, that’s a given, but all have been artistically riveting. Houses were packed for shows such as Jesus Christ Superstar and Fiddler on the Roof. Can this young man put his own career on hold for YES Theatre? “It’s not a theatre company I can ever walk away from. It’s part of me and part of the community I love. It will find a way to survive and thrive, even if I’m on hiatus. This August, YES Theatre presents the Tony Award-winning Hairspray with the April Perrin in the lead. “April has been with us since Spring Awakening. She has grown remarkably over the years and is currently at the top of her theatre class. In Toronto, when Costantini told Perrin she had earned the role, April broke down and cried. She had scored the perfect role. Perrin, 21, a graduate of Sudbury Secondary’s drama program, has been consistently mesmerizing on stage whether at SSS, with the Young(ish) Company at Sudbury Theatre Centre or with YES Theatre. Perrin studied dance with Sheryl Graham and later Claires School of Dance. Perrin got a callback at an open audition for NBC’s Hairspray Live in New York City this spring. More than 1,000 young actresses lined up outside the theatre for a chance to audition to play Tracy. Hairspray, set in 1960s Baltimore, plays Aug. 12 to 27. Tickets are available at the Sudbury Theatre Centre box office, by phone, on line or in person. There is a range of prices including rush tickets. What’s in the future for YES Theatre? How about Billy Elliot? How about a fresh new script written by Costantini and developed by the company? How about a 10th season surprise that is too big to divulge? We can all play our part by supporting YES fundraisers, by donating to the company and by buying tickets. YES Theatre will do the rest.